The bridal shower has its roots in Europe where it arose out of the traditional bridal dowry. Brides whose dowry was inadequate received gifts from friends and family members to add to the goods brought into the marriage. The tradition was brought to the United States with European immigrants and in the late 19th century developed into the American custom of the hope chest which is presented to female adolescents. The girl makes and purchases household goods to fill the chest, and friends and family augment these items with gifts for the day when the girl marries. The bridal shower was never a custom in Great Britain and was not practiced in India. Since bridal showers are not traditional Indian parties, Indian bridal shower games and customs are generally based on those of Europeans and Americans. While a bachelorette party usually includes young friends and acquaintances of the bride and involves drinking and rowdy behavior, bridal showers are usually for female family members and friends and are more sedate affairs. 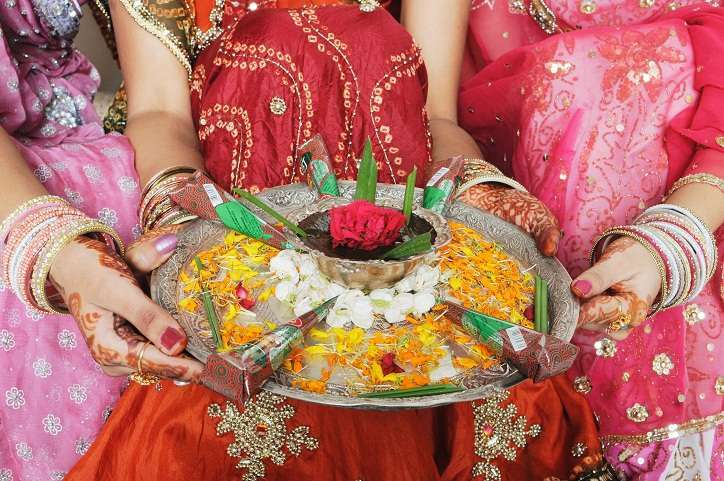 The Indian bridal shower games are usually selected by the bride, her mother or one of her bridal attendants. Games may be selected to compliment the theme of the shower which may be a kitchen shower, a travel shower or any other theme chosen by the person hosting the shower. It is traditional for guest to bring gifts of household goods for the bride. For showers or bachelorette parties where older guests will not be present, gifts of lingerie and bedroom themes are popular. Suggestions for games that can easily be adapted to different cultures include the missing ingredient game. Make up copies of simple recipes leaving out one of the ingredients. The guests who are able to name the missing ingredient receive a small prize. Another idea is to set a timer for 10 minutes while the bride is opening her gifts. The guest whose gift she is opening when the timer goes off receives a gift. The easiest way to find ideas for Indian bridal shower games is to visit bridal websites or look in bride’s magazines. When choosing games it is wise to keep in mind all the guests that will be in attendance since the bride’s grandmother might be offended by some of the games played at parties for younger guests. Because the bridal shower is not a traditional Indian celebration, brides and hostesses have plenty of freedom to plan exactly the type of shower they want.